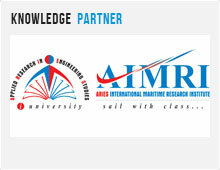 BizTV Events, the event management division of Marine BizTV, organizes ShipTek 2013. BizTV Events manages and conducts a wide variety of maritime events worldwide with offices located in Cochin, Dubai, Sharjah, Abu Dhabi and Singapore with a work force of over 100. Along with organizing many prestigious maritime happenings, we also deliver the exclusive media partnership as well as a complete package of event management services to several leading global maritime events across the globe.